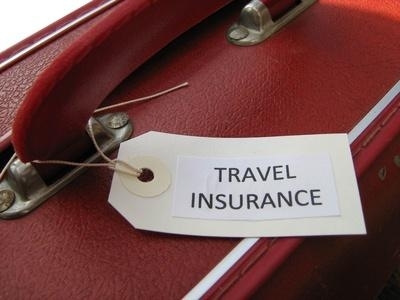 Many people avoid buying travel insurance, either because they can’t be bothered or they see it as a waste of money. However, insurance for your travels can end up saving you loads of money, and if you shop around carefully, you could find yourself getting annual cover for around £1 per month. Although it’s not likely that anything will happen to you if you take the necessary precautions, you are never in control of your flight getting cancelled, your belongings getting stolen or that horrible feeling when you realise that your luggage isn’t going to make it off the plane. You should never think that you won’t encounter any problems while on your holiday. If nothing happens to you, then you can thank you lucky stars. If it does, you’ve been sensible enough to get insurance and cover yourself against mishaps. Who wants to go on holiday with the worry of losing hundreds of pounds if something goes wrong? With the right travel insurance, you can rest assured that even if something does happen, you’re covered and will be reimbursed for the money that you’ve lost out on. This will allow you to enjoy your holiday and quality time with loved ones, without having that niggling voice in the back of your mind. If something terrible happens while you’re in another country and you have to get rushed off to hospital, you could find yourself paying thousands of pounds just to get treated for your injuries or illnesses. To think that you could have saved yourself all that trouble by taking out an insurance policy will haunt you for the rest of your life, and you’ll never travel without it again! While many people are tempted to go for the ‘best’ policies, which covers medical insurance up to £10 million and lost baggage up to £2 million, these aren’t necessarily the most ideal options. Medical insurance is pretty much never going to cost you that much in any case, and your lost baggage is unlikely to be worth more than a few hundred pounds. Go for a cheaper policy which covers everything you need rather than opting for a more expensive policy just for the sake of it.